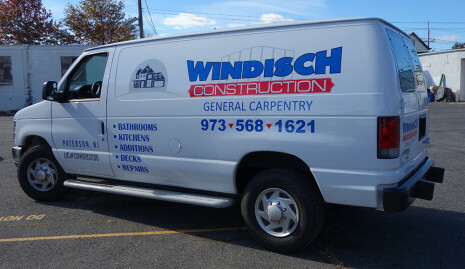 Custom van lettering design for New Jersey construction company client. This custom semi tractor trailer truck required special attention. 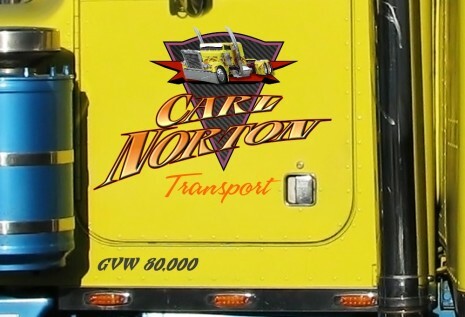 Customer wanted image of the truck on the door and nice custom lettering. We love projects like that because we can put our artistic approach to create original design. New Jersey semi truck lettering. One of our specialties are logo design. 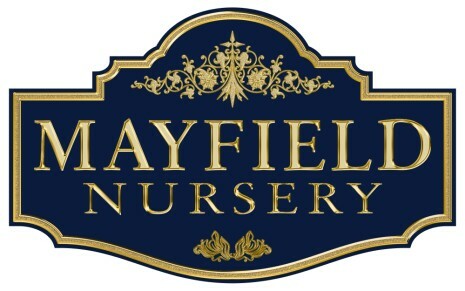 Our client wanted new logo for his landscaping company. We presented three different designs. 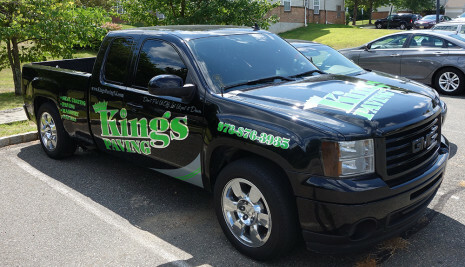 Here is the final that we applied on his new pick up truck, We also printed decals for his equipment. 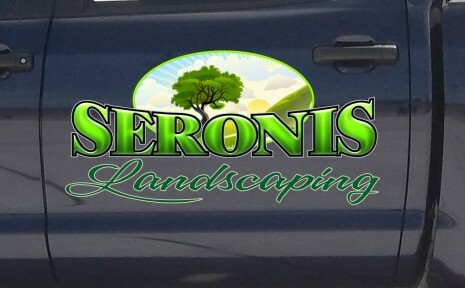 We just finished trailer for local landscaping contractor who purchased new trailer and wanted nice lettering. 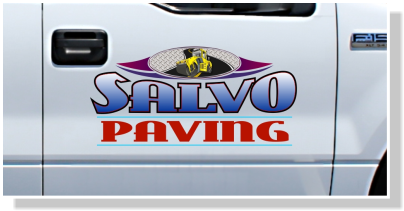 Since he did not have logo we design one for his company. New Jersey trailer lettering. Another happy customer. This lettering features custom graphics applied to a pickup truck door. The graphics were printed on a digital wide format printer. We did the whole job onsite, so that the customer would not have to tie up his truck.